The James Webb Space Telescope will be a large infrared telescope launched on an Ariane 5 rocket from French Guiana in October 2018. 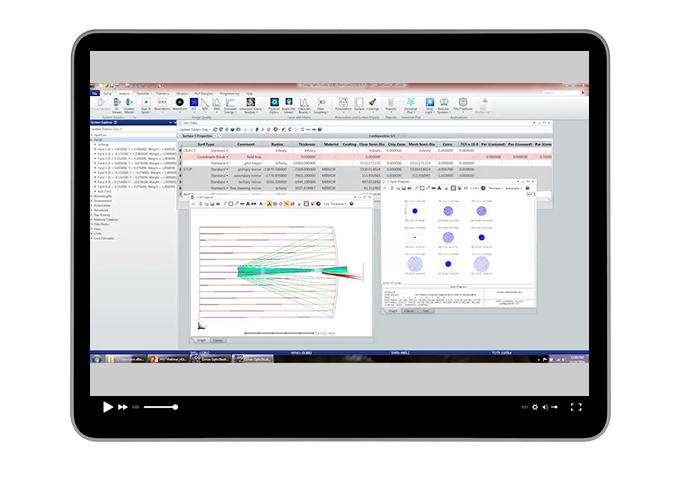 OpticStudio® was used to engineer the system’s primary mirror segments in space. OpticStudio was selected to ensure the extremely sensitive and delicate mirror alignment that is critical to the function and mission of the telescope. The team used OpticStudio to simulate and test a number of scenarios that could happen in space. OpticStudio’s coordinate breaks allowed the optical engineers to effortlessly tilt and decenter elements in the optical model.